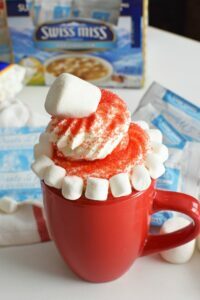 A creamy drink that features real whipped cream, marshmallows, and red glitter to make Santa’s Hat Hot Cocoa. One of my favorite times of the year is when it gets cold enough to enjoy hot chocolate. There is just something so soothing, so reminiscent of drinking hot cocoa when it is cold. 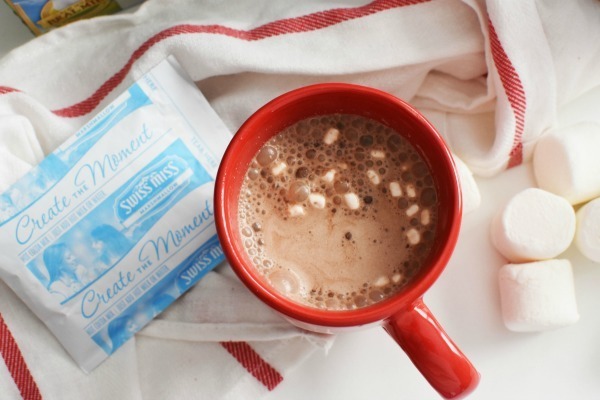 My favorite as a kid is Swiss Miss® Hot Cocoa with Marshmallows. I love the taste of the creamy cocoa and tiny marshmallows that start out with a slight crunch. 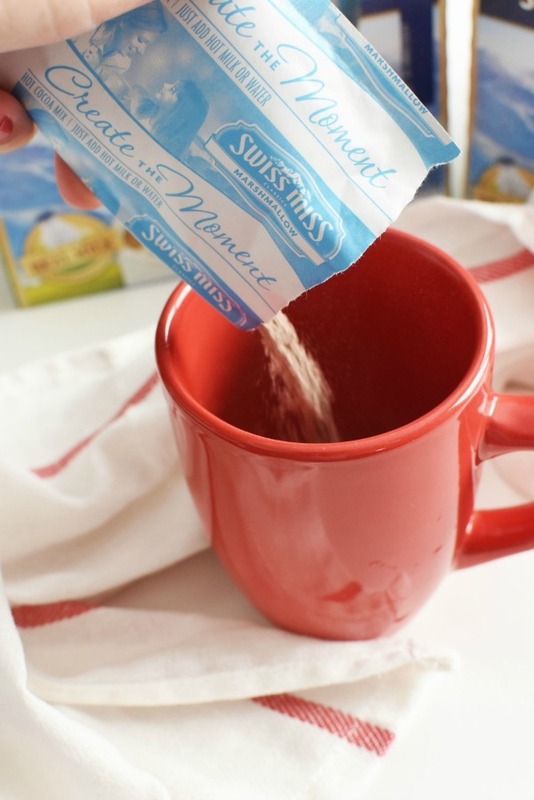 Swiss Miss Cocoa is not just for kids. Now that my children have been back to school for about 3 months, I have been enjoying more “guilt-free” me time. 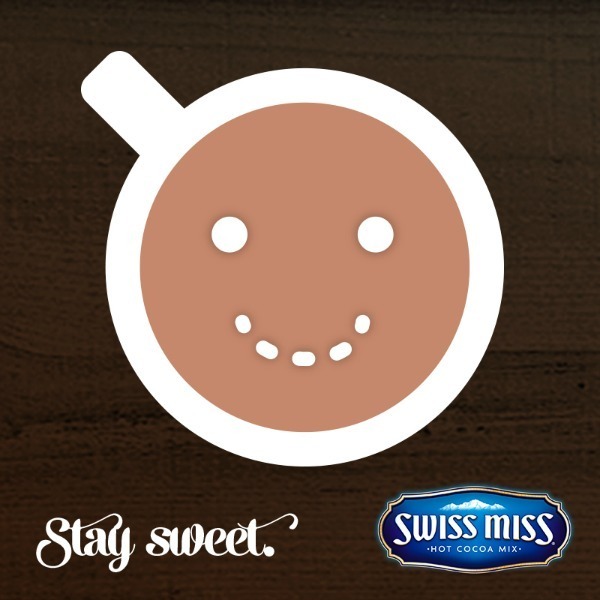 Swiss Miss hot cocoa makes that possible. In less than 5 mins I can have a piping hot cup of delicious cocoa at my fingertips. With the freezing cold weather breezing through, having a hot cup of cocoa helps me to unwind and indulge in the peace and quiet of my home. 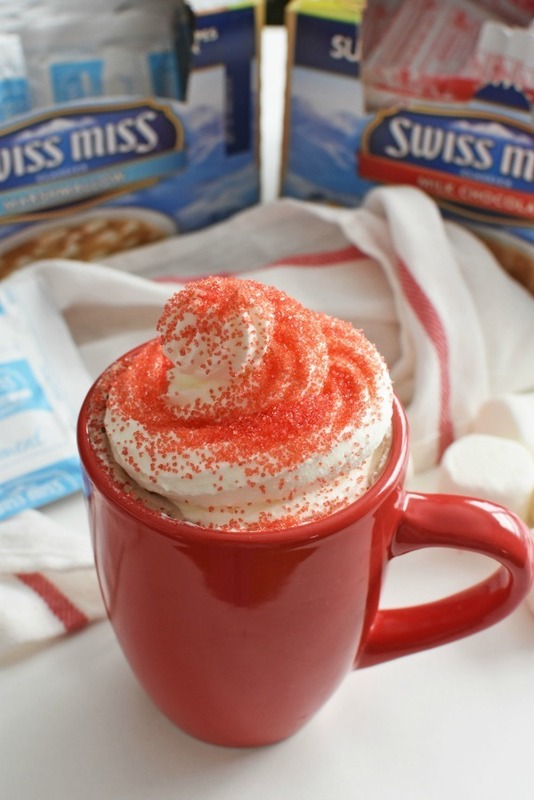 Swiss Miss is also my kid’s favorite hot cocoa. I typically have some of the smaller count boxes on-hand, but since the cold weather is here, the 30-count packs are a must. 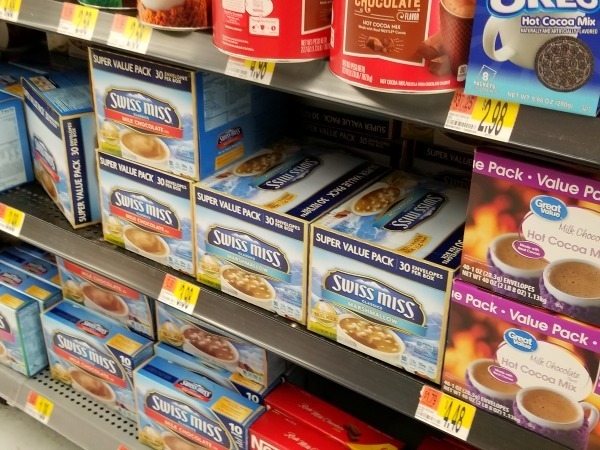 You can find the 30-count Swiss Miss Hot Cocoa with Marshmallows or Milk Chocolate at Walmart. Since Christmas is this month, I thought it would be cute to show off this adorable Santa Hat Hot Cocoa Drink serving suggestion. 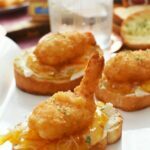 It is really easy to make and requires a few ingredients. Best of all, the smile on your recipient(s) face will make any extra efforts of making fresh whipped cream worth the whole 5-minute process. To make this drink even more holiday-friendly, you can add some peppermint syrup (I love Torani) which also goes so well with the creamy, milk chocolate Swiss Miss. By adding fun flavor syrups the possibilities are endless! I love to prepare my children’s hot cocoa mugs with whole milk, one packet of Swiss Miss Hot Cocoa with Marshmallows and some additional mini marshmallows. It makes it even dreamier, and little faces (and maybe even moms) can’t help but grinning ear to ear while enjoying each sip! 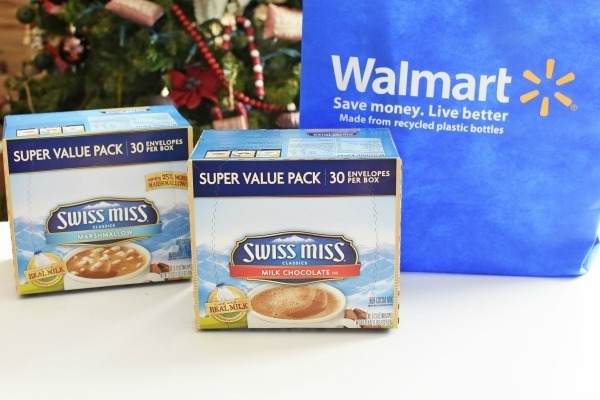 If you would like to make this Santa Hat Hot Cocoa Drink be sure to head to Walmart and pick up some Swiss Miss Hot Cocoa in the convenient 30-count packages. 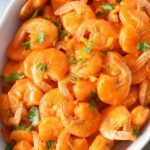 It is super cheap at just under $4 and perfect for holiday entertaining and guilt-free indulgence. Additionally, you can also make these Reindeer Hot Cocoa Cones with 5 packets! This is a holiday hit around the web and pinterest! 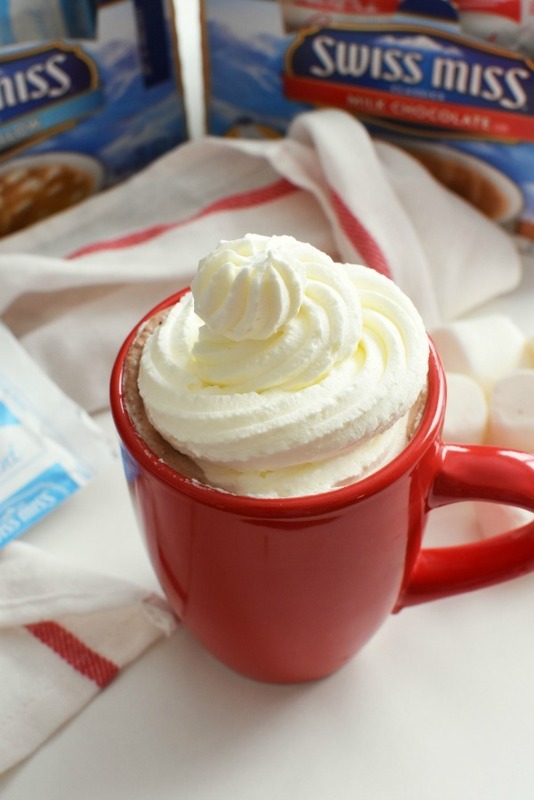 Get the printable recipe DIY for these Santa Hat Hot Cocoa Drinks below! In a stand mixer, add heavy cream and powdered sugar. 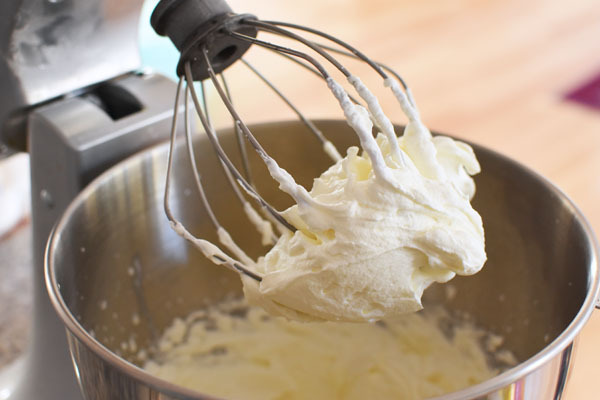 Whip on high speed for 3-5 minutes until fluffy peaks form. 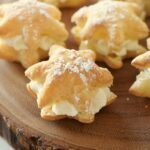 Once it is done, add whipped cream to a piping bag with a large star tip. Prepare cocoa cups with warmed milk and cocoa. Pipe a thick swirl of cream into each cup to form a hat shape. Sprinkle each with red sugar. line cup with mini marshmallows. Add the jumbo marshmallow as the topper. Enjoy! That is such a beautiful mug of hot cocoa! I love it so much! I absolutely adore this! I’ve seen a lot of Christmas themed cocoa’s lately, but NONE of them can top this. Adorable! We drink hot chocolate a few times a week here in our house, so I have to surprise the kids with this!!! I love all the ways to switch up plain hot cocoa. I will be trying this. Oh my goodness the kids would love this. They love hot chocolate but this would be literally the icing on the cake. We just bought Swiss Miss last night so I’ll have to serve them like this! This Santa Hat theme is just TOO cute for the kids. I just think these are so cute. I know that the kids will have so much fun making them and then getting to enjoy them! Swiss Miss for the win!! This is such a great idea. It turned out so good! I love the santa. I can’t wait to make some of these with my girls. This cocoa would be so much fun for the kids. 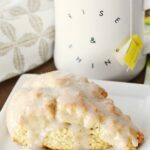 I am definitely going to have to make them some! 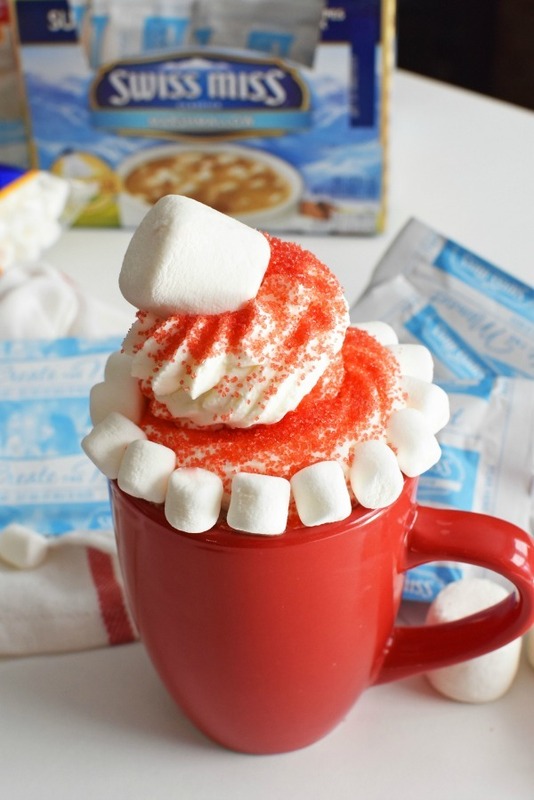 This Santa Hat Hot Cocoa recipe looks so delicious. It is sure to be a big hit with my kids. We have a few outdoor activities to do this weekend. This will be a great way to warm up. These are just so adorable and festive. 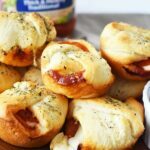 My kids would love to make these, especially with the weather getting colder. This is so cute. 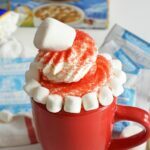 I love the idea of making the hot cocoa look like Santa hats! I’m so ready to warm up with some hot cocoa. I’d love to serve it in a fun way on Christmas with these delicious Santa hats! I love Swiss Miss Hot Chocolate and because of that I have to steal your idea. Oh how cute are these? My girls would just love these!!! 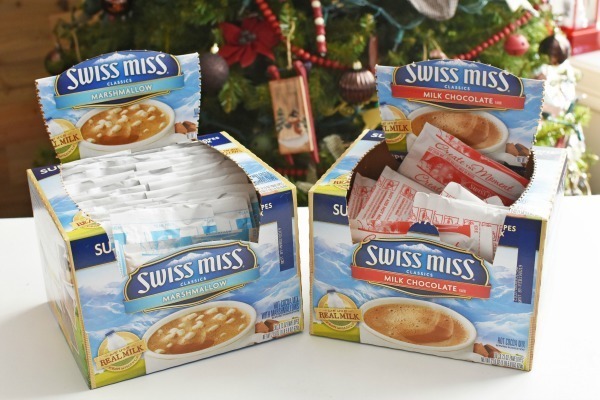 Our family loves Swiss Miss and a staple during Christmas and all winter long! I can’t wait to make this fun drink! This sounds like such a delicious recipe. I am going to have to try it. Totally love the santa hat. How creative. I am loving your santa hat hot cocoa. This would be fabulous to serve after a skating or sledding party.